Dish Network has begun shipping its Wireless Joey video distribution system to its customers. First announced at CES in January, the Wireless Joey consists of a wireless access point that connects to Dish Network’s Hopper Whole-Home DVR, and up to three client receivers that connect to TVs around the home. As with the original wired Joey, users can stream, rewind, skip forward, and pause live or recorded TV, and they can program the Hopper to record any programming in their subscription package. In fact, the experience of using either of the Joey clients is basically the same as using the Hopper itself. In a meeting Wednesday with Vivek Khemka, Dish Network’s senior vice president of product management, Khemka told me that the video streamed from the Hopper to the DVR is the same MPEG-4 video that’s streamed from the satellite to the Hopper itself. “We don’t need to do adaptive bit-rate streaming or anything like that,” he said, “because it’s a dedicated network.” As you would expect, the video streams are encrypted. 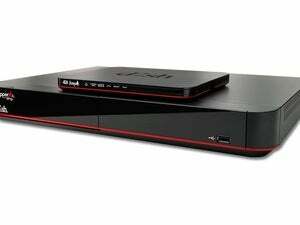 Dish Network’s Wireless Joey can stream TV from the Hopper DVR to up to three wireless clients using the 802.11ac protocol. The Wireless Joey access point and clients form a private 802.11ac wireless network on the uncrowded 5GHz frequency band. The access point and client devices support 3x3 MIMO (multiple input/multiple output), beam forming, and a frequency-hopping scheme designed to avoid conflicts with other Wi-Fi networks operating in the home. Dish’s wired Joey system depends on coaxial cable, which isn’t always deployed to the spot where you want to set up additional TVs—including out on the patio. The Wireless Joey receiver has digital and analog A/V outputs, including HDMI 1.4. The Wireless Joey and its client devices arrive pre-paired, so the customer can install the system without need to wait on an appointment with a technician. The access point connects to AC power and to one of the ethernet ports on the back of the Hopper. Each Wireless Joey client connects to the TV using an HDMI cable, and it will automatically connect to the Hopper as soon as the Wireless Joey is plugged into an AC outlet. The convenience won’t be free, though. 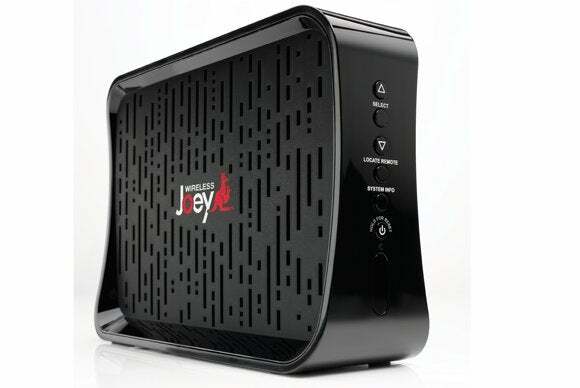 Dish customers must purchase the Wireless Joey Access Point for a one-time fee of $50. Wireless Joey clients are then leased for a monthly fee of $7 each. Dish relies on Broadcom’s networking technology for its whole DVRs, and the company turned to Broadcom once again for this product. The Wireless Joey uses a 900MHz 2000 DMIPS BCM7418 set-top box chip, plus a Broadcom BCM4360 chip for 802.11ac wireless networking.